The grains are VERY tiny! It's really not new - teff is just newly "rediscovered"; which is NOT a valid word. Boy, oh boy! Whenever you find something that you really like, you tell people, don't you? I do! Well, in 2010, I discovered teff, the teeny little whole grain from Ethiopia. Man, is it good! Where has it been all of my life? I would have been eating it years ago, but I didn't even know it existed! Time to Try Teeny, Tiny, Tasty, Teff! Grains like amaranth, chia, quinoa, and teff are coming into their "own", and it's about time! You really need to "meet" teff! Tasty, Tiny Staple Grain of Ethiopia! There is a brown, almond-shaped grain that is native to Ethiopia, called teff; technical botanical name, Eragrostis tef. 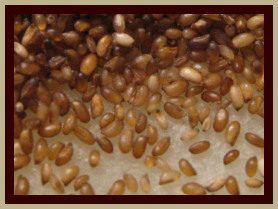 It is celebrated as the smallest edible grain in the world. Teff is so tiny, that about 10 of them, will fit on the head of a pin! Talk about a miniature grain! Get a load of teff's size, in the photo, compared to other grains. All of them are separated by a common, flat wooden toothpick. Teff is at the far left, next to amaranth, another very nutritious small grain. Then, moving to the right, we have chia, quinoa, white rice - only for salt shakers, we don't eat it - and wheat. Now, do you "get the picture"? Teff is extremely tiny! Nevertheless, it is one of the most delicious grains around. For all of its minuscule size, teff packs a power punch of potent ingredients. Because its germ and bran are fairly large, in comparison to the whole grain, it doesn't take much to get a lot of its nutrients into you. Teff grain contains all of the essential amino acids, and is rich in protein, calcium, iron, lysine, fiber, and taste; not to mention, teff is considered to be almost completely gluten-free. Good news, indeed, for those of you who are following gluten-free diets! When cooked alone, it has a fresh, clean "nutty" smell, and exudes an aroma of barley malt, at least to us, it does! The tiny grains swell up and get plump as they cook, and delightfully absorb whatever spices and flavorings are added to them. They have a lot of natural oil in them, so you don't need to add much olive oil, extra-virgin coconut oil, or butter when cooking teff. In photo at the very top of the page, you can see how they change from almond-shaped, to round, when cooked. Their teff is excellent - this is where I ordered our first teff. It was great! They don't even know I am doing this, but they are such nice people, they won't mind! On second thought, I think I'll tell them. We so love to promote small businesses, who are doing an excellent job, all way 'round! Check this out - look at the inset photo. That is a grain of wheat. Next to it, is a grain of teff. Look hard, or you will miss the grain of teff. The wheat is the one on the left; can you SEE the little grain of teff on the right? It's that teeny "dot"...and about 100 of them are the equivalent to one grain of wheat. 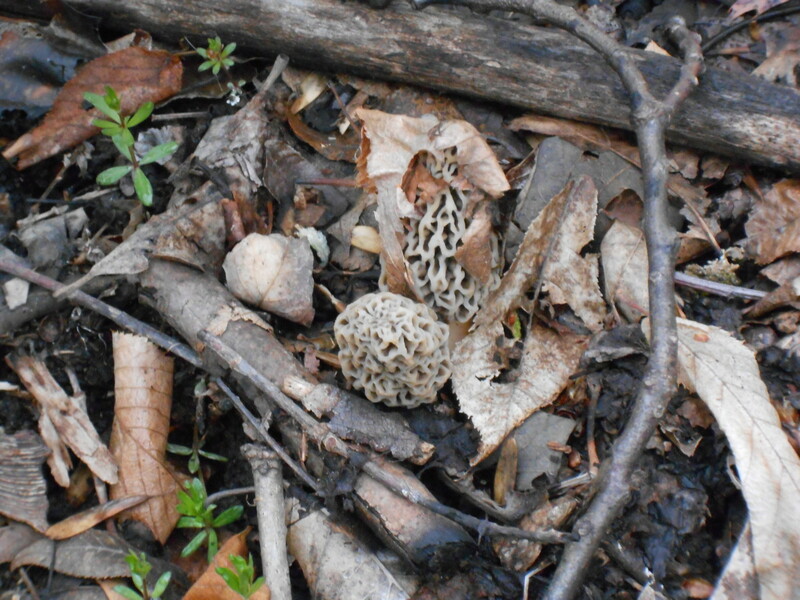 The main photo is taken from the one with the grain comparisons. 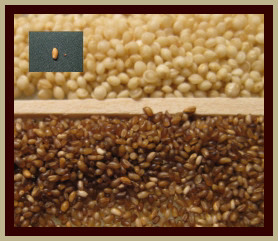 The brown grain is teff, the tan area is part of a flat wooden toothpick, and the creamy ivory round grain is amaranth. Does that give you an idea, or how very minute it IS, and why teff has the reputation of being the smallest edible grain in the world? I took these photos, and it was hard to "zoom in" on the teff, because the grains are so very small. It's a little, bitty grain - packed with a huge amount of nutrients. One great thing about teff, is that it is considered to be gluten-free! Wrap them around just about anything you can imagine - teff tortillas are the wave of the future - your future! Millions of white flour tortillas have been consumed here in the U.S. - we are a tortilla-loving country. 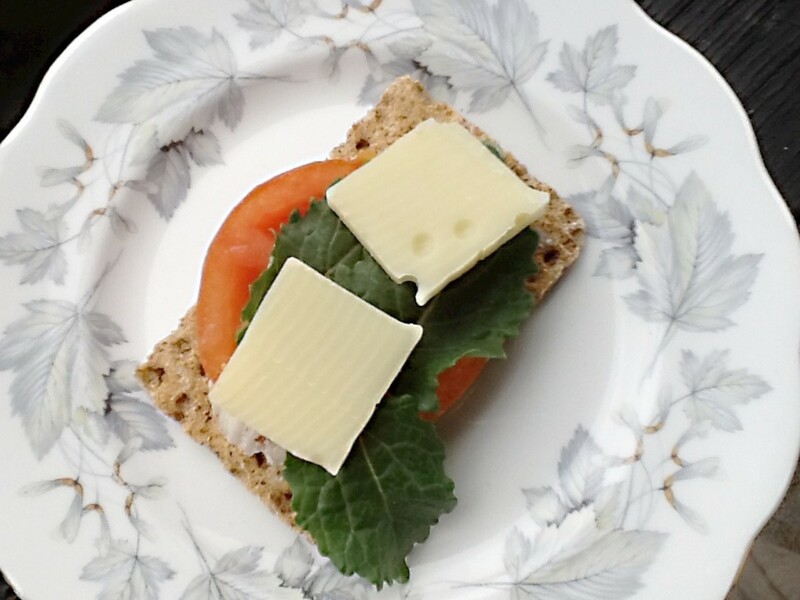 Your body will love you for eating whole grain tortillas, and teff tortillas taste terrific! 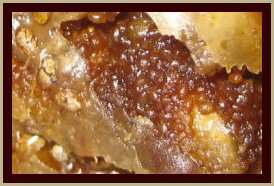 Close-up photo of Teff grains. Why is it, that most of the people I know will sooner rush off to a movie they heard about, or a store that's having a Grand Opening, or a restaurant that their friends told them was good - than buy something, and eat it, that is terrific for their health? Does that even make sense? No, I didn't think so...but then, things don't always have to make sense...I just like them to. Do you do that - are you "following the crowd" or the advertisers, in regards to your health? Where is your sense of ADVENTURE? So...how 'bout if you decide to not be "part of the maddening crowd", and start to make every single mouthful of food - count? A good way to start, is by replacing the white rice, or white pasta you are accustomed to eating, with any of the whole grains above. Not white rice! That's only in the photo for size comparison. With the exception of wheat, they are less commonly known, but more nutritionally beneficial to your body. Are you game? Teff has "done right" by the Ethiopians since time immemorial - are you ready to try it? Whole Grain Teff on Amazon - This is where we get it! We are hooked on Teff - not only is it delicious, it is nutritious. Teff combines beautifully with soups, stews, bread mixes, baked goods, and other grains. The FUN part of teff, is that the grains sort-of "pop" on your tongue! If you have not experienced the marvelous taste of TEFF, you need to do so! Ivory Teff Grain, 1 lb. This is the lighter variety of teff; still as nutritious as dark teff, but easier to introduce to those who are accustomed to eating white flour products, and white rice. 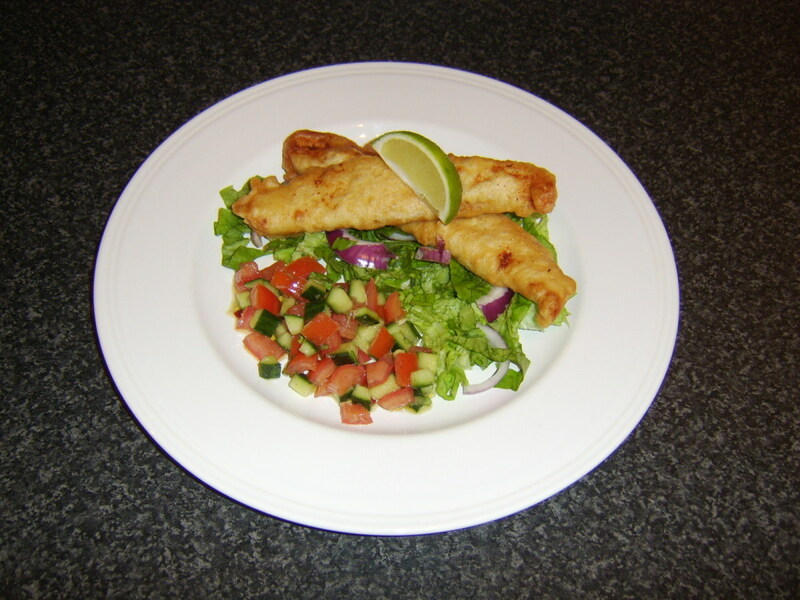 Besides, some dishes just aren't as appealing to the general public, if they look "too healthy"! All Right - I'll Bite - How Do You Eat Teff? You cook it just as you would any other grain. Put about 3 times as much water in your pan, as there is teff. Teff first, water second. Add some olive oil or coconut oil or butter, and a touch of salt - we use sea salt - and bring it to a boil. As soon as it boils, turn the heat way down, and let it cook about 20 minutes, covered. Stir the pot once in a while, and make sure there is still plenty of moisture in it. Remove from the stove, let it sit for about 3-5 minutes, season and serve. That's the basic way to do it. We might add parsley, herbs, dried leaves from a tree we grow, mushrooms, onions, fresh garlic, chia - whatever we like - usually right at the end. But, it is really simple! If you put it in the microwave, the same rules apply, as far as the water goes. It will take about 15 minutes, on high heat. Be sure you cover it, in the microwave, because grains occasionally "spurt" all over, when they are cooking. It helps a bit, if you add a touch of salt to the water. When the teff is almost finished cooking, add whatever you like, in the way of spices, herbs, or vegetables. Stir them into the hot teff grain, and let it "set up" a few minutes before you indulge. Sometimes we cook it with quinoa, amaranth, or chia. When it's done, we like to add onions, garlic, parsley, Mrs. Dash, Spike, olive oil, and of course - my beloved Moringa! You'll just have to experiment, yourself! We also use TEFF FLOUR, in addition to the whole grain. As flour, it is extremely versatile, and for those on a gluten-free diet, it is superb! This company puts out a cookbook, to teach you how to eat the grains they sell. I've purchased many of their excellent products over the years, and not once was I disappointed. I particularly like a tablespoon of it stirred into eggs, in an omelet. Teff cooks clean, is not gummy, and just has a "meaty" feel to it, in your mouth. A little bit of teff goes a long way, and one thing we really like, is that teff flour lends an undetectable-to-the-eye moistness to any baked goods, along with a punch of additional nutrition, and a crisp, melt-in-your-mouth, texture that is indescribably delightful! Teff flour is light brown, almost tan, and very dense. You can use teff flour, in any baked goods. Added to pancakes, muffins, rolls, bread, fritters, cookies, cakes, brownies, it is wonderful. Mixed with the dough for pie crust, the graham cracker crumbs for cheesecake crust, tucked into meatloaf, added to the crust for quiche...need I go on? Because it does not have the gluten of wheat flour, you may wish to use half teff and half whole wheat, or any other combination, so it all "sticks together". Often, eggs can be the "binder", in baked goods made with teff. However you use it, teff will enhance the nutritive value of the finished product. It always adds a crisp, moist, delicious taste, that is unique to the grain. All of my "guinea pigs" - the human ones, that is - have loved it. P.S. I have guinea pigs, too, but we don't give them grains! Recently, I decided to experiment with teff when I was making a sauce for some chicken enchiladas. My husband always uses white flour when he is making his enchiladas, but white flour and I simply do not get along. He puts about 1/4 of a cup of white flour into a skillet or saucepan, and browns it. Then, he adds about two tablespoons of hot chili powder into it, mixes that thoroughly, and whisks water into it, to get the sauce to the consistency he wants. He brings it to a simmer, stirring constantly, and the sauce is ready. I avoid white flour like the plague. In my opinion, it simply turns into paste in your digestive system. I often say that white flour and water only reminds me, of wallpaper glue and that is how I think it hits our bodies! Hence, I decided to make MY enchilada sauce with teff flour. I followed the same procedure that my husband uses, with the exception of the white flour. 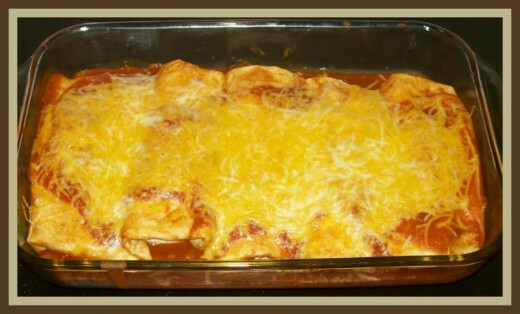 My enchilada sauce smelled heavenly, tasted divine, and my experiment turned out really, really good! 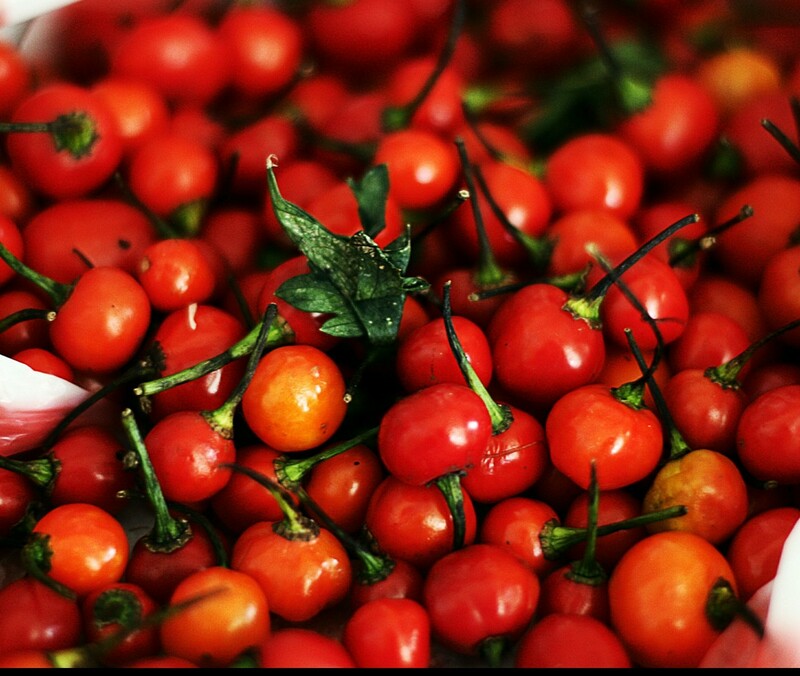 Try that, next time you are making an enchilada sauce. If you have teff flour on hand, use it instead of white flour. I believe you will be pleasantly surprised! I simply love teff in just about anything, but we especially like the crisp, moist, "explode-in-your-mouth" experience you get when teff is added to baked goods. 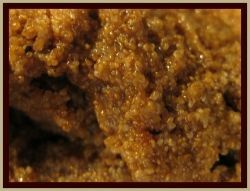 I made some homemade oatmeal cookies for my husband recently, with all natural ingredients, using teff. He loved them! That was a great surprise to me, as my husband does NOT like oatmeal! Want some excellent ways to incorporate TEFF into your diet? This book features a variety dishes, all made with whole grains, including teff. Definitely a must, for the health-minded cook in the family! Teff Chia Truffle that we made at home. This is one of the ways we eat teff and everyone likes the mouth-watering flavor and substance that teff adds to the dessert. Now, don't ask for the recipe, as I really don't have one, but I can tell you the ingredients that are in it. I simply use phyllo dough - whole wheat, when I can get it - and real butter, coconut oil, wheat germ, maple syrup, and lots of cinnamon. 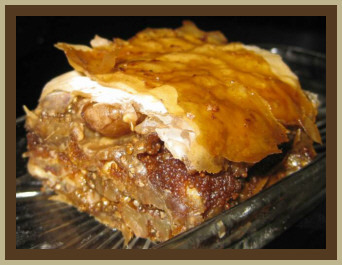 I mix everything together except the layers of phyllo dough, warm it up to a simmer in a saucepan, and then layer it between the phyllo dough sheets. It usually makes about 3 thick layers, and then into an oven, preheated to 375°F it goes for about 35 minutes. Once it comes out, and has cooled, I cut it into squares, and serve at room temperature. The little grains of teff really do explode with a moist, popping sensation in your mouth! This cookbook works for vegetarians and meat-eaters alike! If you learn a bit about combining grains, you can get a lot of usable protein without eating meat. 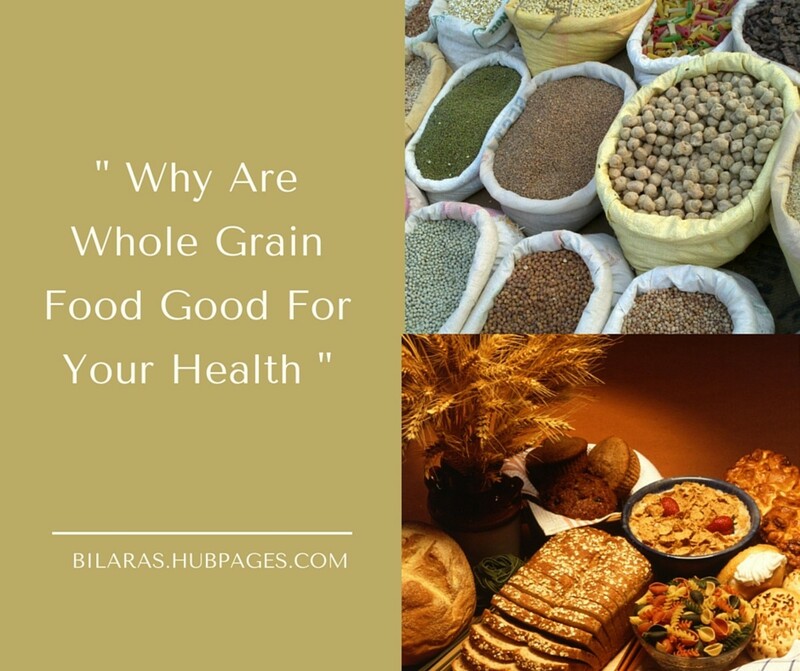 What is your Favorite Whole Grain? Finally the public is aware that degermed, denatured, bleached, "enriched" flours and grains are not the best for your health! The pendulum swings - at last! 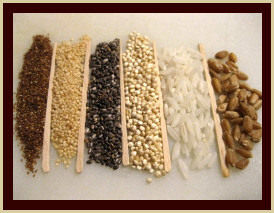 If you eat whole grains and seeds, tell us which one is your favorite. We have not added the most common ones: corn, wheat, rice, oats, because the focus here is on some of the oft-neglected ancient grains and seeds. If your favorite is one we don't have listed, let us know - in the comments area below. Give us your vote, for which grain you like, the best! Have you ever heard of Teff? What is your favorite way to use Teff? Leave us your welcome comments! I eat a lot of rice. I have heard of couscous and amaranth, but I have never heard of Teff before. Thanks for an enlightening lens. I must try this, sounds good.